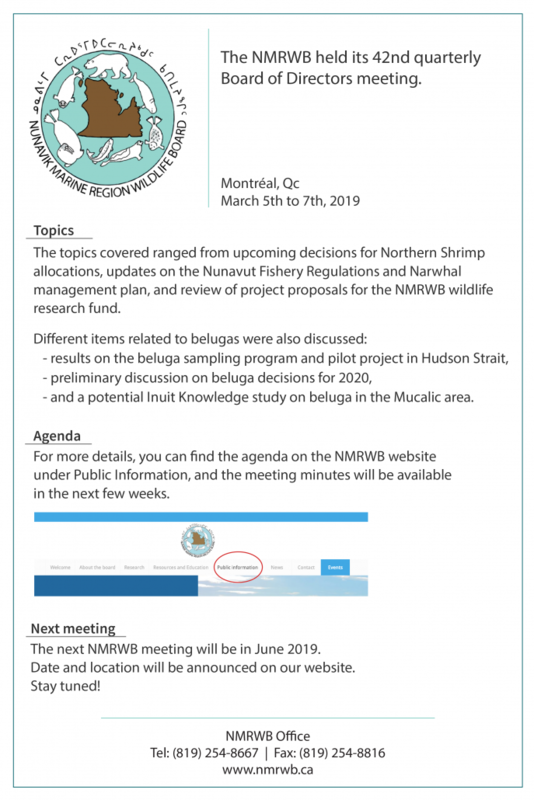 The NMRWB held its 42nd quarterly Board of Directors meeting in Montréal from March 5th to 7th, 2019. Different topics were covered during this week. Read this brief summary to find out more, or have a look at the full agenda of the public meeting on our Public Information page. The meeting minutes will be available in the coming weeks.